We are very happy that the ANSE research book with the articles of the 1st ANSE Research Conference in Budapest, 2015, is published! The book is edited and produced in close cooperation with ANSE, the Faculty of Humanities of Károli-Gáspár University, Budapest, and the Hungarian and German Associations for Supervision and Coaching. 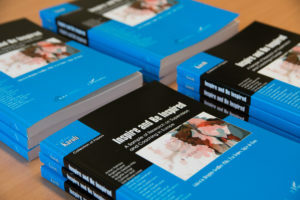 It offers a broad variety of research reports by 22 scholars from all over Europe. Its aim is to inspire practitioners as much as researchers are inspired by them. The book can be orderd online here. It also will be available on French Amazon from early January.